A plane crash can have devastating consequences. This article identifies the parties that are potentially liable and outlines the damages available as well as the potential legal causes of action. Plane crashes are extremely rare in the United States. When they do occur, they generally involve small aircraft—such as light-sport aircraft or turboprops—as opposed to large commercial passenger and cargo planes. But what happens when there is a plane crash? When disaster strikes in the air, serious injuries and fatalities are common. A personal injury lawsuit or wrongful death lawsuit is generally the best way to recover the inevitable losses associated with a plane crash. This article discusses the common causes of airplane accidents, provides an overview of the laws that may apply, and explains what options injured parties and their families have in the event that the unthinkable happens. Enjuris tip: Of the 346 aviation fatalities in 2017, none involved an aircraft with 10 or more seats. What are the most common causes of aircraft accidents? The National Transportation Safety Board (NTSB) was established in 1967 to investigate all civil aviation accidents in the United States. In rare cases, the FBI or the Federal Aviation Agency (FAA) will also play a role in determining the cause of the accident. Piecing together the facts after a plane crash can be a big challenge. Most investigations don’t reach any conclusions until 12-18 months after the start of the investigation. It can take even longer if the plane crashes in a hard-to-reach part of the country, such as a large body of water or the side of a mountain. Pilot error. A seven year study found that over half of all airplane crashes are due to human errors. Pilot error includes misreading equipment or weather conditions, overreacting to cockpit warnings, and engaging in improper maneuvers. Poor maintenance. Maintenance-related issues can lead to engine and other critical instrument failures. They’re often the result of human factors such as inadequate skill or carelessness. Sabotage. Sabotage refers to situations where hijackers take control of a plane or the pilot intentionally crashes the plane. Air traffic control error. Sometimes the error lies with the employees on the control tower or the landing strip. Enjuris tip: The NTSB publishes accident reports following most major aviation accidents. These reports can be read online on the NTSB’s Aviation Accident Reports webpage. Who can be held liable after a plane crash? Pilot. The pilot may be found liable if it’s found they acted carelessly or negligently, and their carelessness caused the accident. Airplane owner. The owner of the airplane may be liable under the theory of respondeat superior. Under this theory, an employer (such as a commercial airliner) is liable for the negligence of their employees so long as the negligent act occurred in the course of the employee’s employment. Manufacturer. When a product is found to be defective, the manufacturer can be held liable for any injuries that the defect caused. Maintenance and repair facilities. Individuals who maintain and repair airplanes must follow strict instructions. Failure to do so may result in liability. Federal government. Air traffic controllers direct and guide the pilot through international airspace. These individuals are employed by the federal government and their failure to properly perform their duties could result in the government being held liable. What damages can be recovered after a plane crash? The victim of an accident involving an airplane can be compensated for economic damages (medical expenses and lost wages) caused by the accident, as well as non-economic damages (pain and suffering). In addition, an injured person might be able to recover punitive damages if the liable party’s actions were intentional or particularly outrageous. However, punitive damages may be limited or prohibited altogether depending on the nature of the plane crash. For example, when an international flight crashes, punitive damages are prohibited under the Montreal Convention (a treaty which governs airline liability for international flights). Every airline that operates around the world must have a certain level of mandatory insurance coverage. These insurance companies will pay the damages awarded to victims in the case of an airplane accident. When it comes to an international airplane accident, the compensation will also be subject to the terms of the Montreal Convention. What factors might permit a plan accident lawsuit? Negligence. Negligence claims are generally appropriate when some human error (such as a pilot error) caused the crash. The plaintiff would have to prove that the defendant failed to act as a reasonable person would have. Product liability. Product liability claims are appropriate when there are defects in the equipment that caused or contributed to the accident. Federal Tort Claims Act. This act allows a private citizen to sue the federal government and its employees for torts committed in the scope of federal employment. For example, the FAA is responsible for air traffic control. If an FAA employee causes a plane to crash, the plaintiff can sue under the federal tort claims act. Respondeat superior. The employer is responsible for the employee’s actions during the scope of his or her employment. Wrongful death lawsuits. Surviving relatives can receive compensation to help cover a victims lost wages, loss of support, funeral costs, and the emotional injuries by filing a wrongful death claim. What rights do family members have immediately after an accident? After a domestic or foreign commercial plane crash, the federal government and the airline must provide assistance to the families of victims of the crash under the Aviation Disaster Family Assistance Act. This assistance includes notifying families, helping families travel to the accident location, and supplying family members with investigation information during the investigative process. Should a plane crash occur, an airplane accident lawyer is prevented by federal law from contacting injured parties and family members for at least 45 days. 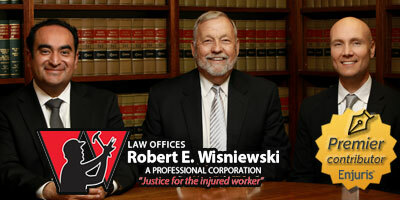 Injured parties and their family members may, however, contact an attorney during this time. It’s important to keep in mind that aviation law is a particularly complex area of law. Not only are there a number of local laws, federal laws, and treaties that may be implicated, but there are often a large number of victims from different states and the lawsuits could become multi-district lawsuits. For these reasons, the field of aviation litigation requires an attorney with experience in the field. Use our free online attorney directory to locate a personal injury attorney in Arizona who has experience in aviation litigation.